Like everything lately, this project seemed to take me FOR-EVER! But it’s done now, and I think it came out great. It’s square, solid and straight. The proportions work, the finish is a great color and has a nice warm glow, and the stained glass panel work nicely in the door. 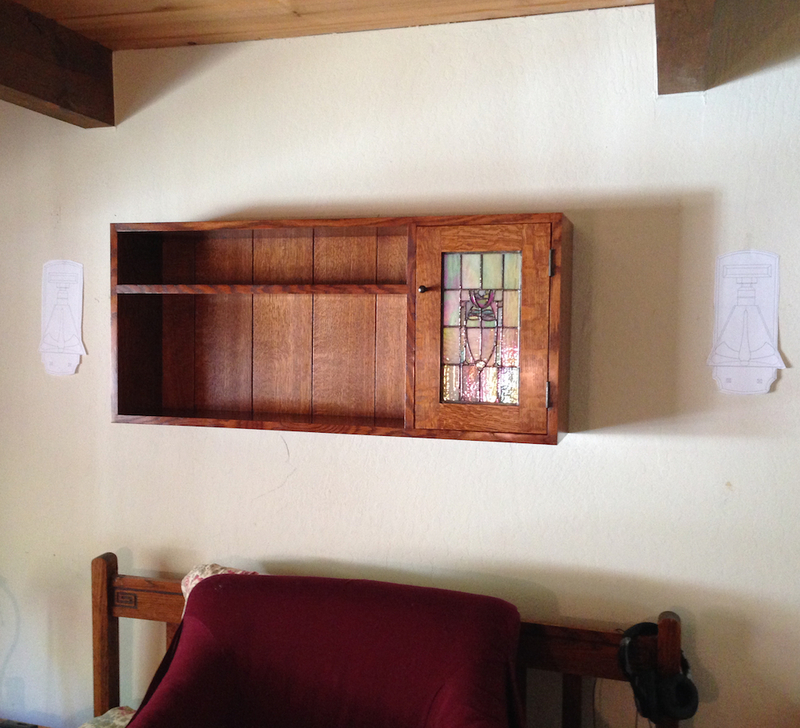 It’s completely different in character than the Byrdcliffe cabinet, definitely squarely in the Mission vernacular. I installed it in the guest room, perhaps a skosh too high in retrospect. The room sorely needs a repaint, but my next project is to make a pair of sconces for the room which will entail punching holes in the drywall to re-wire it, so that can wait. I’m off to clean up the shop so I can unpack my new tool which should be delivered by 3:00 this afternoon. And start in on the sconces. 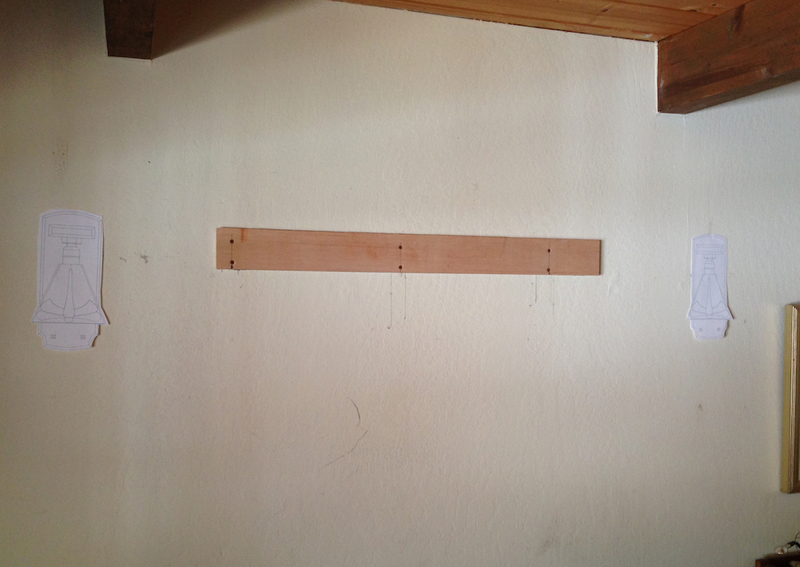 French cleat screwed to the wall — I was able to hit three studs, two 3.5″ deck screws in each stud. That is pretty sweet! It is so cool you can do the glass work too. 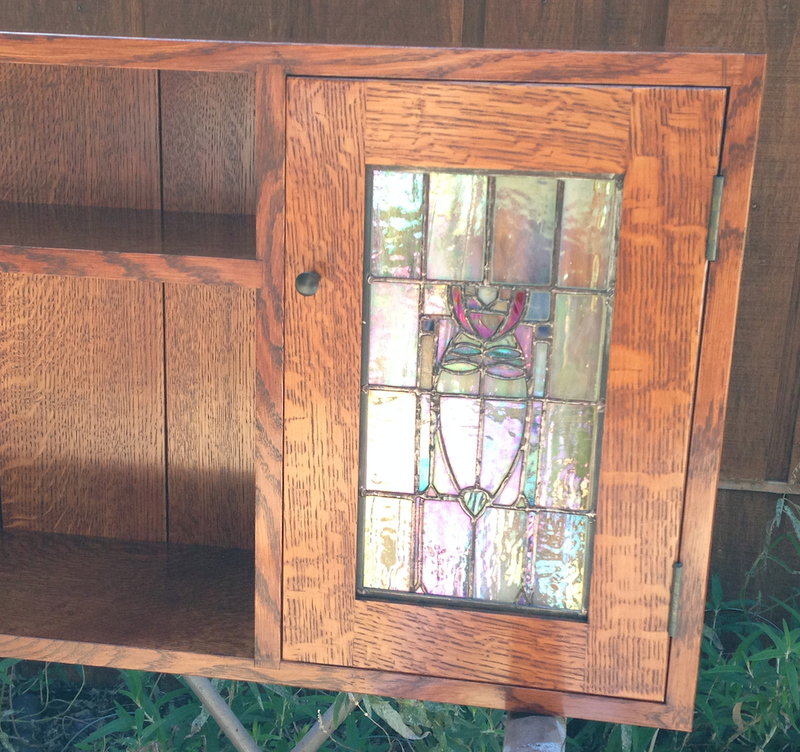 The glass is pretty easy, if you can build the cabinet you can do the glass. Figure $300-$400 for all the tools and supplies and glass for the first couple of panels. 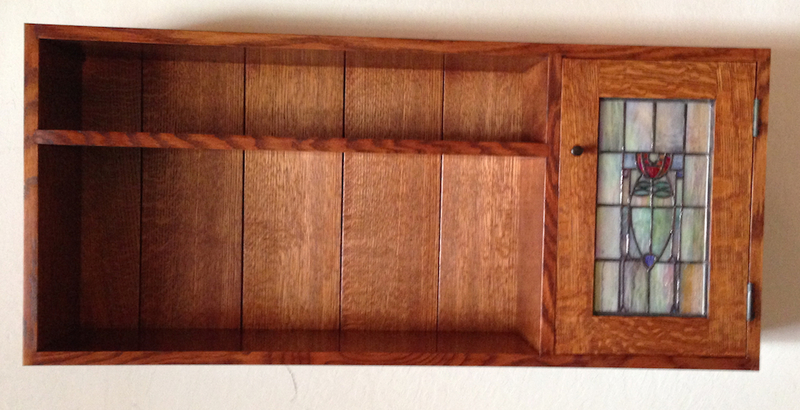 It’s turning out to be pretty handy to be able to combine wood and glass like this. Beautiful work, thanks for sharing. Looks real good Joe. I had thought the small pieces in the glass would be lost when assembled but I can still see them. That’s soooo cool. So many things to learn how to do .. so little time. The finish on the Oak really brought out the beauty of the wood..stunning.